The Baysox (57-58) struck out a season-high 18 times in a 2-1 loss to the New Hampshire Fisher Cats (55-59) in 11 innings Wednesday afternoon. With the loss, the Baysox fall to 3-9 in extra innings games, the worst record in the league. Thirteen of the 18 outs recorded by New Hampshire starter Sean Nolin were strikeouts and he struck out the side three times, including two innings where the Baysox batters went down in order. Baysox hitters have struck out at least 10 times in three of the past four games. The Fisher Cats struck first in the bottom of the third inning against Baysox starter Mike Wright. Jack Murphy drew a one-out walk and moved to second base on a single to center field by Kenny Wilson. Murphy moved to third base when Andy Burns reached on a force attempt and scored on an Adam Loewen groundout to give New Hampshire a 1-0 lead. 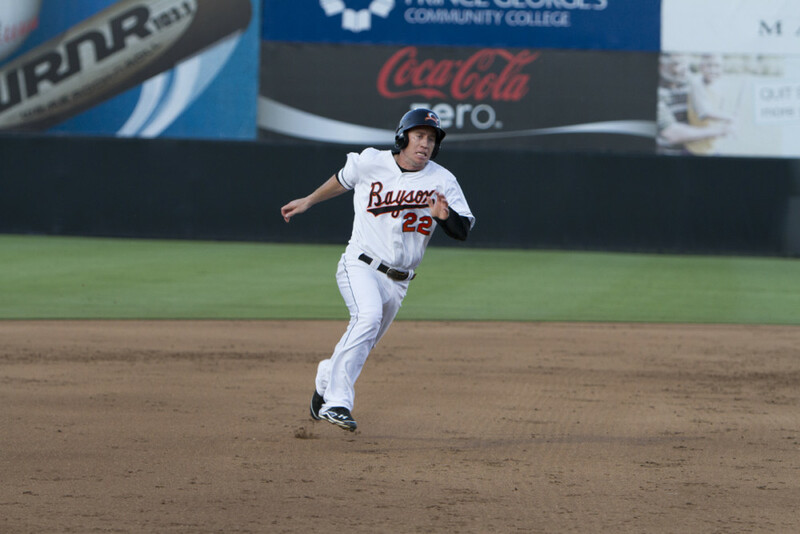 The Baysox tied the game 1-1 in the top of the sixth inning against Nolin. Left fielder Caleb Joseph hit a lead off double to left field and scored on a two-out single from first baseman Seth Loman to tie the game. New Hampshire rallied for the walk-off win in the bottom of the 11th inning against reliever Clay Schrader. Andy Burns hit a lead off single to left field and moved to third base on a one-out Brad Glenn single to center field. Kevin Nolan singled to center field to bring home Burns for the 2-1 win. Wright threw seven innings, allowing one run on five hits while striking out seven and walking two in the no decision. Reliever Matt Bischoff pitched two scoreless innings behind Wright, not allowing a hit while striking out three and walking one. Schrader took the loss, pitching one and one-third innings and allowing one run on four hits while striking out two. New Hampshire reliever Scott Gracey picked up the win, pitching two scoreless innings, allowing one hit while striking out two and walking one. RHP Devin Jones (3-4, 5.46) takes the mound for the Baysox tomorrow as the team plays the final game in a three game series with New Hampshire. He will be opposed by RHP Kyle Drabek (0-0, 2.25). After a six game road trip with stops in New Hampshire and Portland, the Baysox return home Tuesday, Aug 13 for a seven game home series against Erie and Richmond.